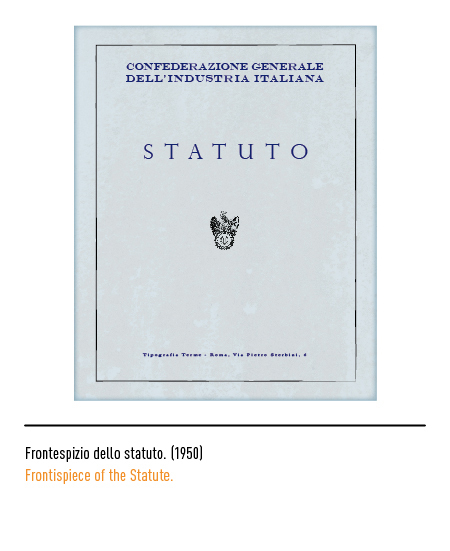 Confindustria is the major representative of all the Italian manufacturers and Italian service providers ; since 1910 its aim has been that of contributing, along with political, economic, social and cultural institutions, to the economic growth and social development of the country. 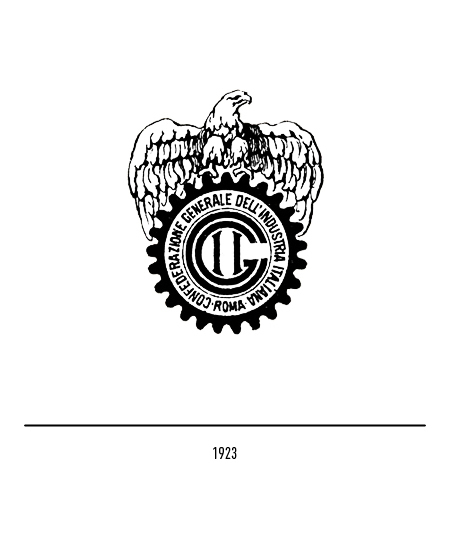 After its first 13 years of life, the organization realised it needed a tangible identifying symbol ; this is when the first logo comes to life, in 1923, depicting an eagle above a cogwheel, on which the name of the organization was engraved "Confederazione Generale dell'Industria Italiana" (General confederation of Italian Industry). 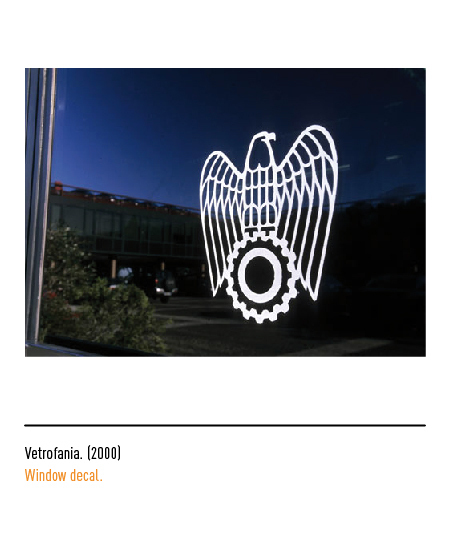 The choice of such elements mirrors the will to sustain and help the country in its social and economic growth; the eagle, symbol of might and independence, and the cogwheel, symbol of the factory system, emphasise the proposing role of the entrepreneurial class. 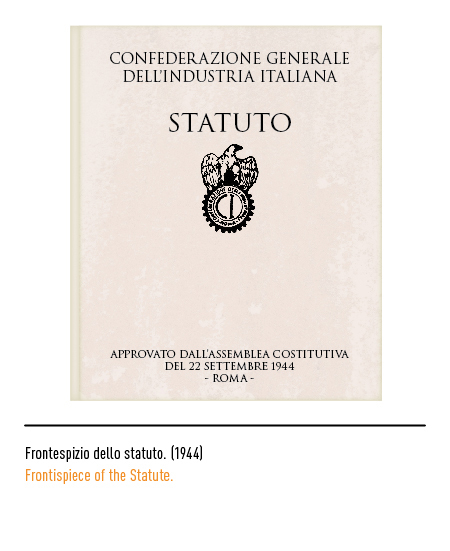 In 1925, after the rise to the power of Mussolini, the Confederazione is obliged to recognize in the fascist syndicate as its only counterpart; the logo acquires the fasces and the denomination changes to "Confederazione Generale Fascita dell'Industria Italiana" (General Fascist Confederation of Italian Industry). 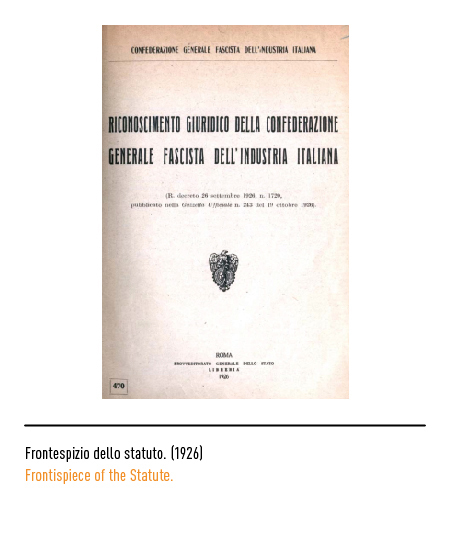 Few years after, in 1934, the word "generale" is taken away, to give more importance to the other national federations. 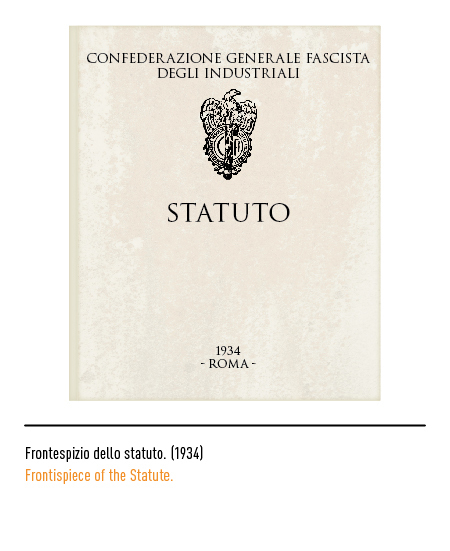 After the fall of Mussolini, the fasces disappear from the logo. 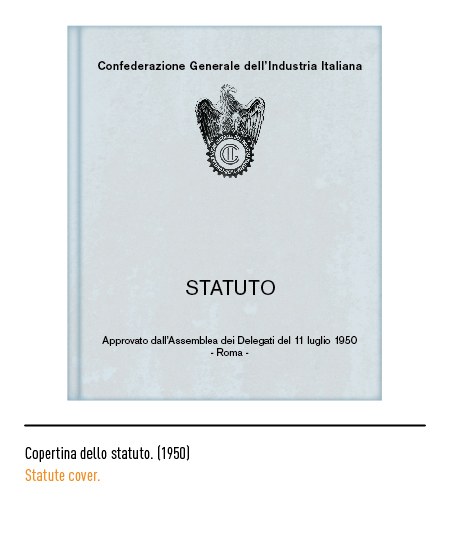 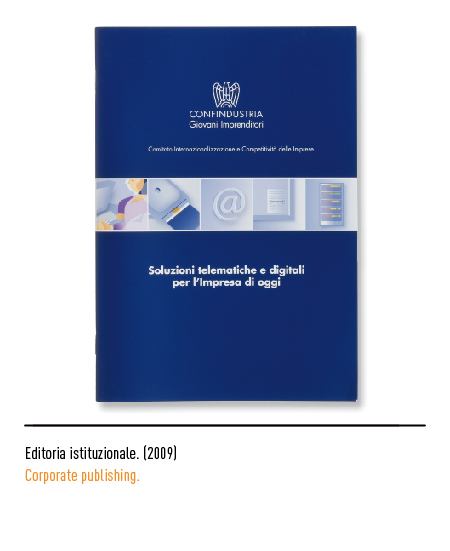 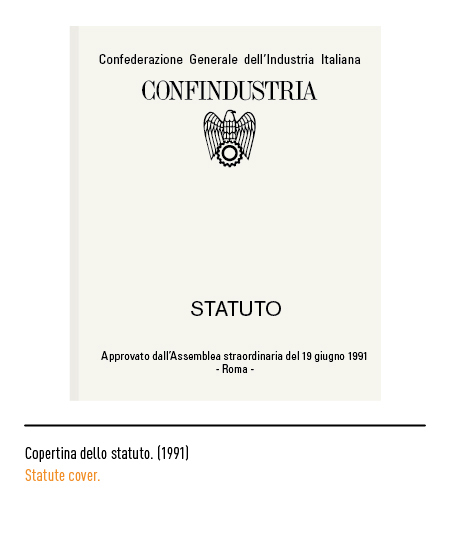 The denomination is also modified into "Confederazione degli Industriali" (Industrials Confederation). 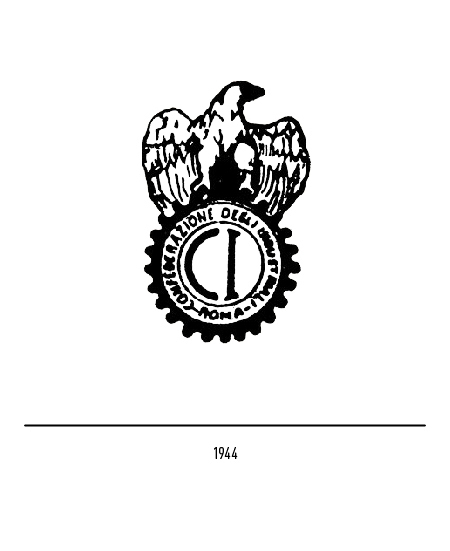 In 1946 the eagle is made bigger and bolder, still standing above the cogwheel with the inscription "Confederazione Generale dell'Industria Italiana". 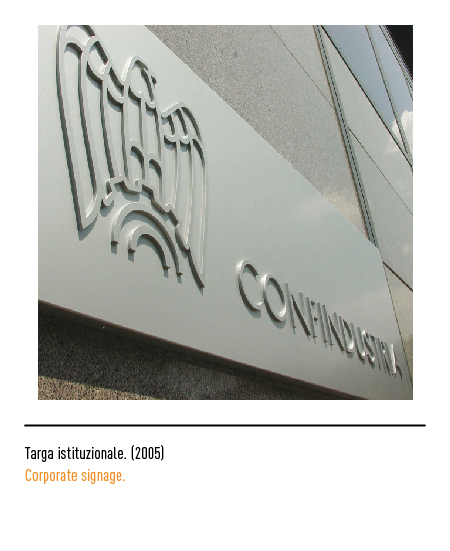 Confindustria gains a key role in the reconstruction of what was left after the war, making deals with syndicates and strengthening its own organizational schemes. 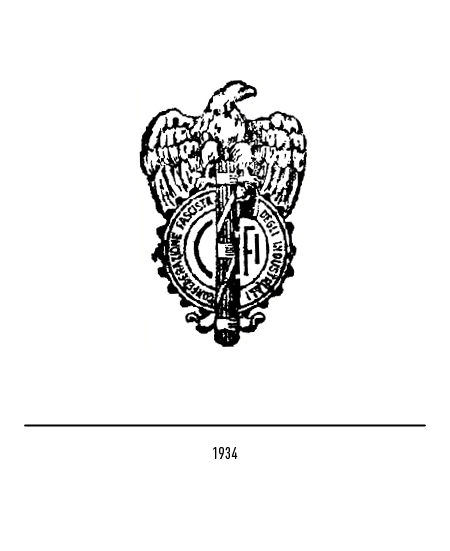 As answer to the need of a more modern and simplified logo, a new logo is approved in 1938. 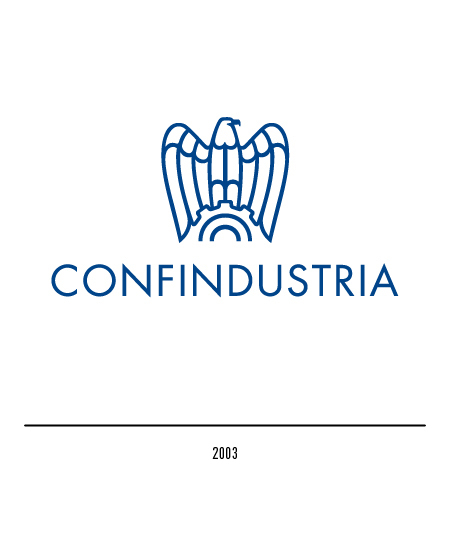 Such new logo is the demonstration of how Confindustria embraces the new policies now characterizing both external and internal communication, which demand a great communicative force , speed and possibility to be identified. 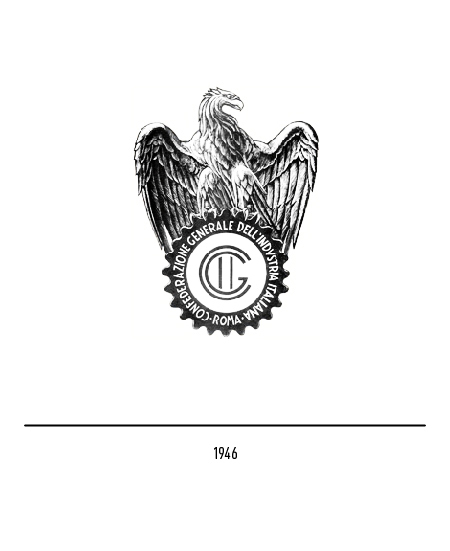 In 2003 the restyling of the logo is appointed to the agency Inarea; confirming the undisputed value of the historical emblem, the simplification of the eagle is emphasized by making it lighter and by eliminating the marks of the claws, already resized in the 1983 version. 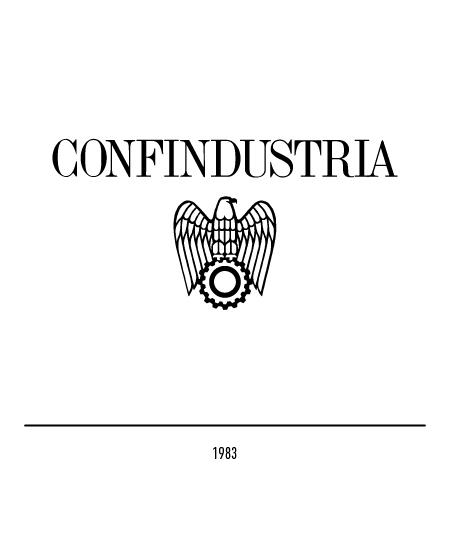 The cogwheel remains to show the strong bond with the real economy, but its traits are softened in order to represent not only the technical side of Confindustria, but also the integration between the new fields emerging in the manufacturing and service providers world. 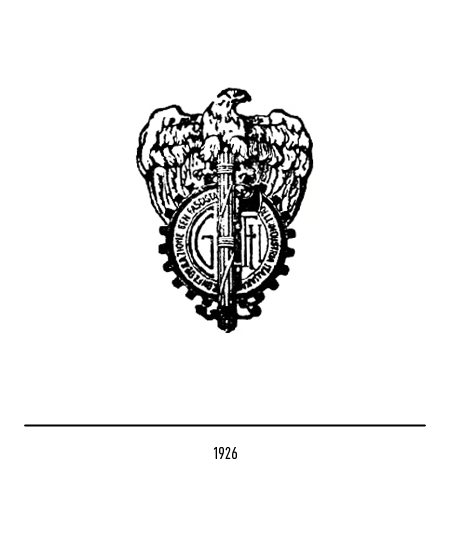 Altogether, the new logo is also easier to visualize on computerized supports, which now prevail in the modern communication. 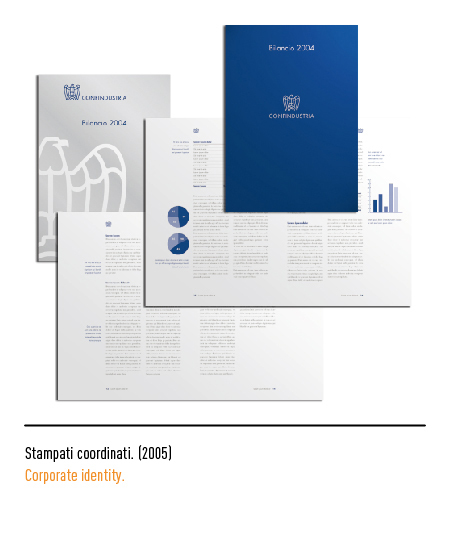 The font of the logotype is Futura.